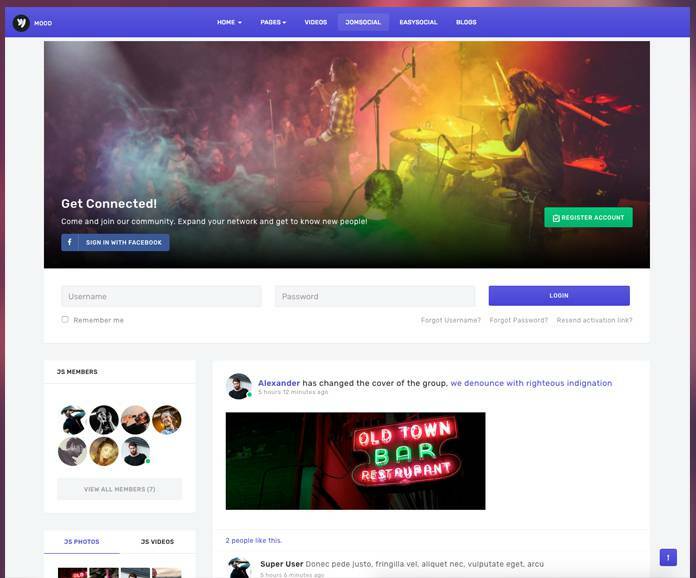 JomSocial is a powerful Joomla extension to build community and social website. JA Mood fully supports JomSocial with customized styles. 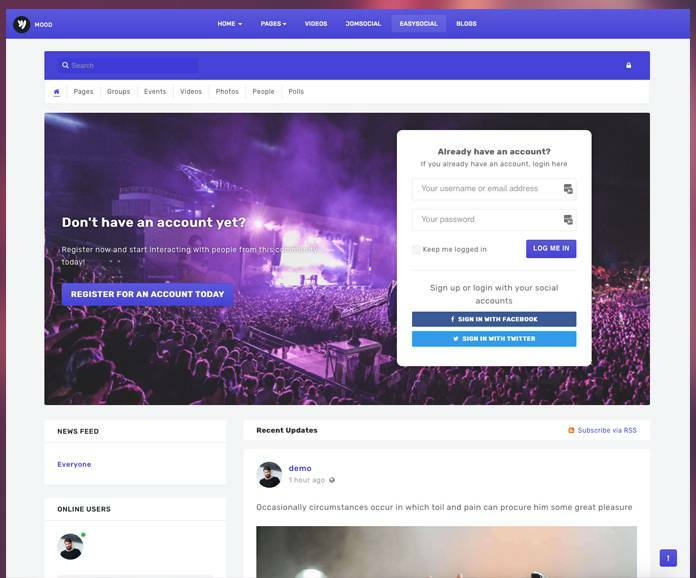 JA Mood fully supports EasySocial component with all pages specifically styled to look amazing for this template. 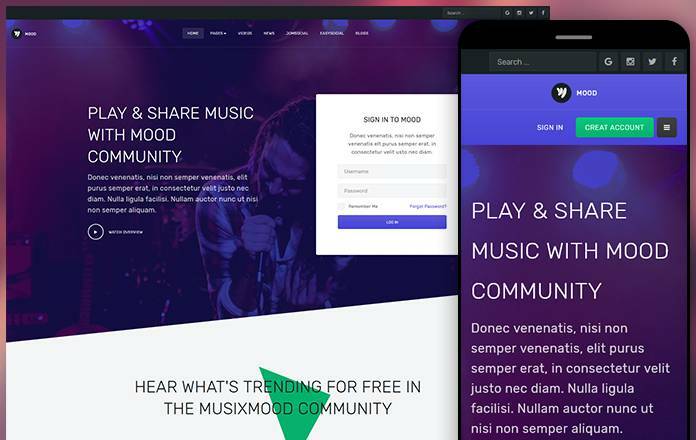 JA Mood comes with special additional pages designed for music, community and social website: video, news, blog. 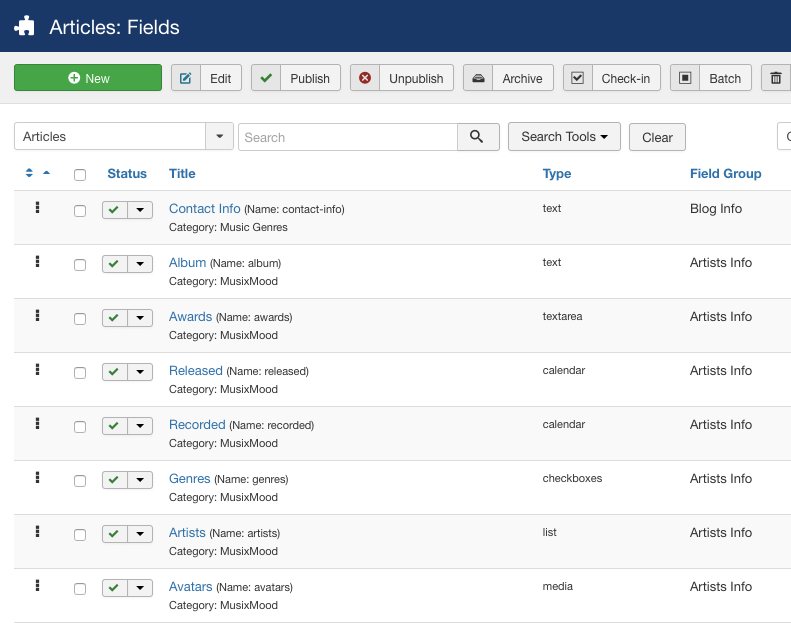 Joomla 3.7 introduced new exicting new feature - extra/custom fields. 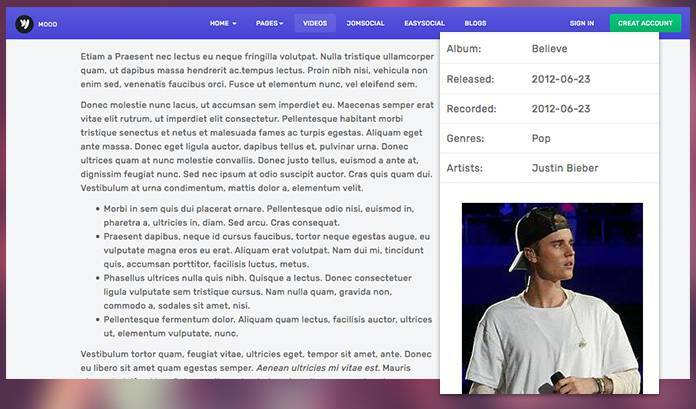 In JA Mood, we used the new features to create additional info for Video and blog page: Albumn, avatar, artist, genres, etc. Create extra field groups from "Content > Field Groups" then create fields from "Content > Fields". In the article, you will see new tab to add extra fields for the article. 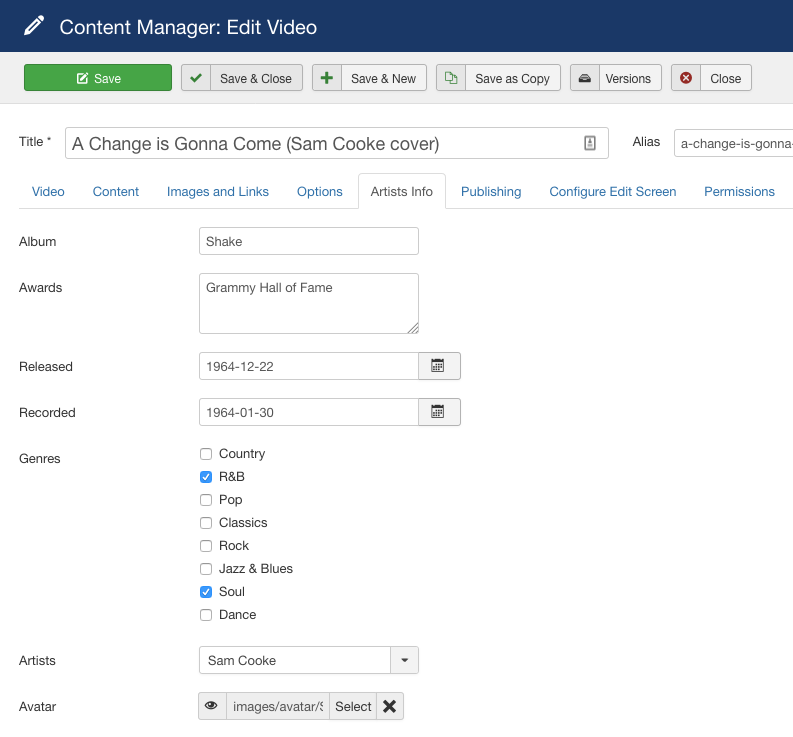 Check out full instruction how to create extra fields for video page in JA Mood template. 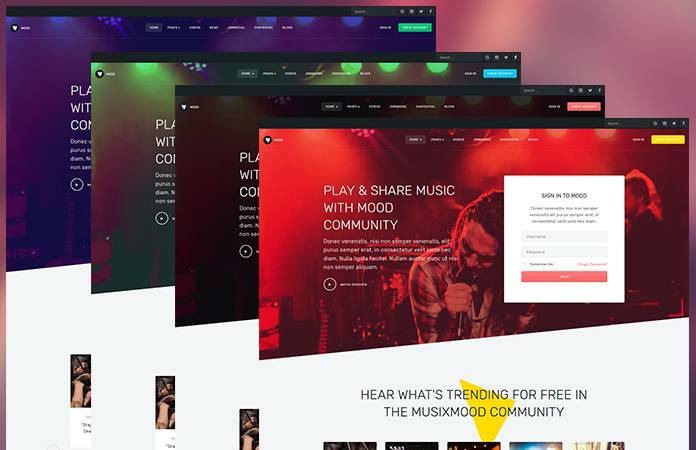 JA Mood template includes JA Joomla Page Builder by default to create stunning landing pages. 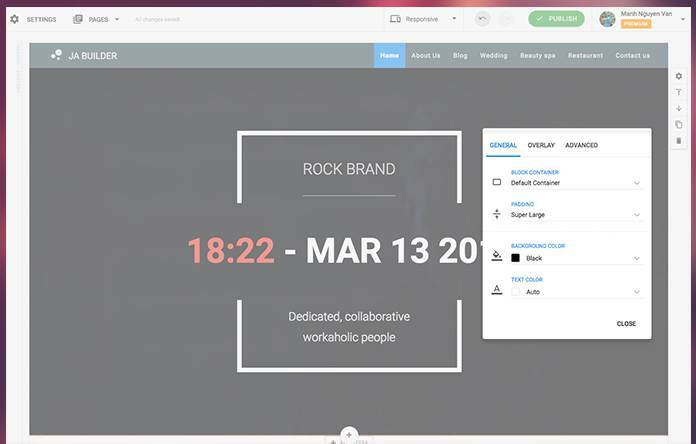 With pre-made content blocks and page library, you can quickly replicate any page in some simple clicks. 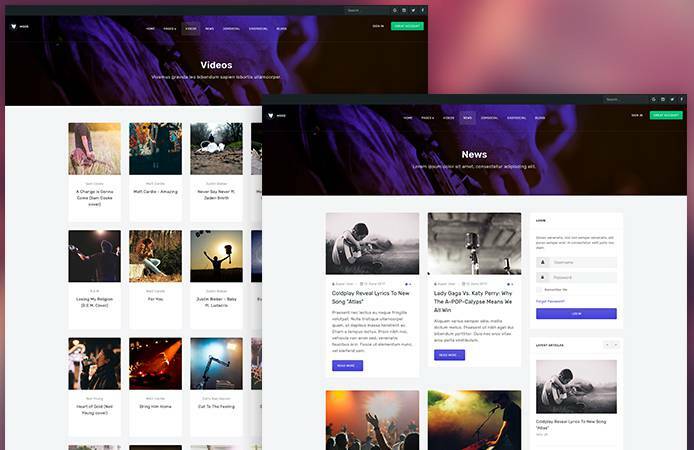 All default Joomla pages: contact, category blog, login, search, featured articles, etc are supported with individually customized styles to fit the template design. The template supports 4 theme colors: default, green, red and dark. All themes look brilliant and you can switch theme with just 1 click. 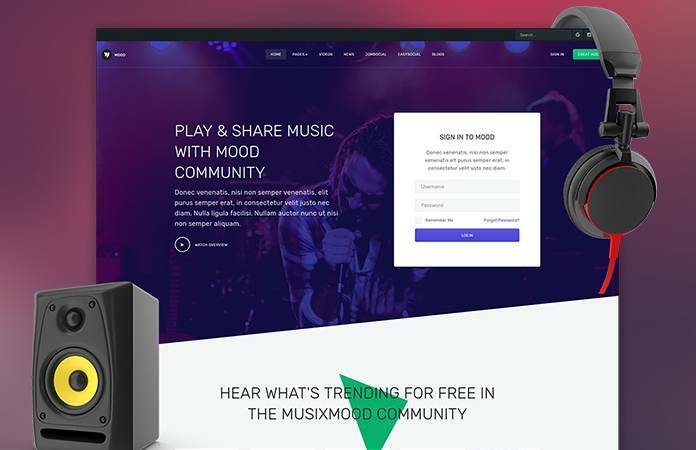 JA Mood template is built with the best responsive Joomla framework - T3 Framework with powerful features and ease of customization. 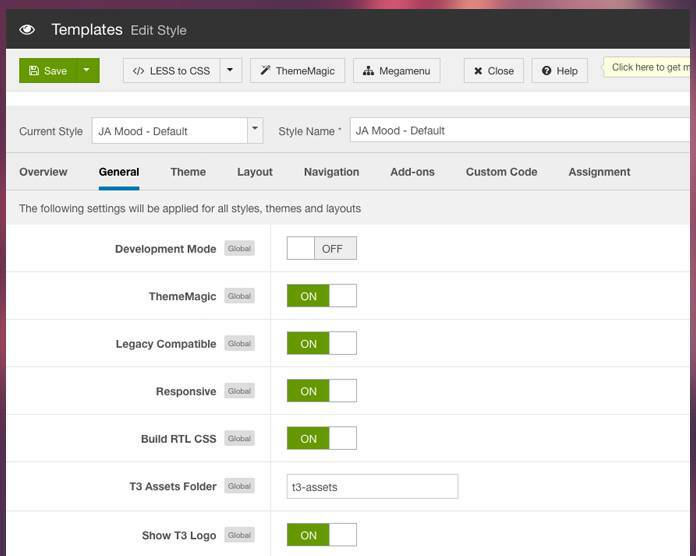 JA Mood template support right to left languages layout to build website in special languages: Arab, Persian, etc. 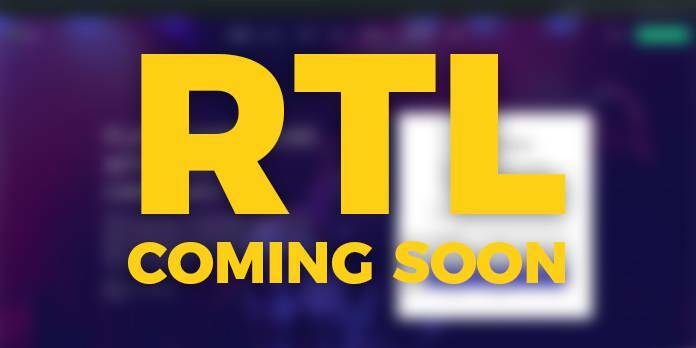 The RTL style is styled in independent .less file so you can customize easier.